Ready to make your wedding or party a hit! 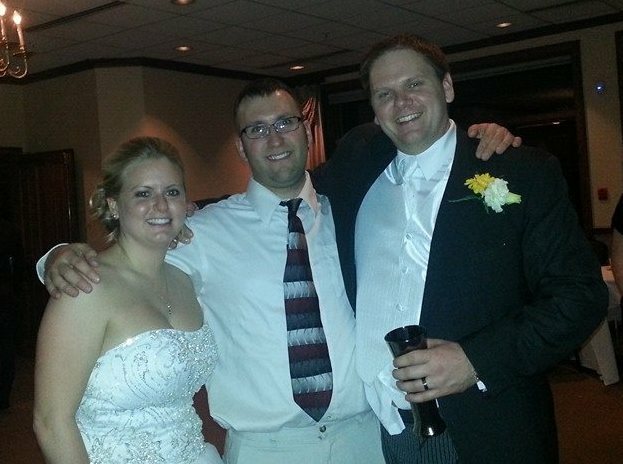 Since 2000, DJ Clayton has been providing the best DJ services for the entire state of Wisconsin in the Sheboygan, Appleton, Green Bay, Fon Du Lac, Manitowoc, and Fox Cities. Although only a couple cities are listed, DJ Clayton will travel to you throughout the entire state of Wisconsin. Do not forget about destination weddings with a professional DJ, DJ Clayton travels out of state of Wisconsin! You were simply amazing. I was a bit crazy my last week before my wedding. You took requests and were very flexible when my new husband wanted to "hear a few old school jams." The night was enjoyable and you kept the party going. Amazing job! You kept my guests guessing what would be played next! One of my favorite parts of the reception was playing Party Rock Anthem for my son to get into the party too! Our wedding was so much fun I wish the night was never going to end. I am so happy we choose you to be our DJ. Randy & Rebecca. DJ Clayton Wants the Best Wedding or Party for you! The never ending attention to detail of making sure your wedding or party goes off without a hitch, DJ Clayton is more than just your regular DJ that stands behind equipment and plays songs. DJ Clayton will organize your entire party or wedding, helping everything run smoothly! We have very exciting news! DJ Clayton now offers beautiful uplighting or up-lighting for your party or wedding In Sheboygan, Appleton, Green Bay, Fon Du Lac, Manitowoc, as well as the entire state of Wisconsin! DJ Clayton is definitely not your average DJ, call him today and find out why more people book their weddings and parties with him first! DJ Clayton is located in the Sheboygan Area, but provides DJ services to all of Wisconsin including surrounding areas such as a DJ in Sheboygan Falls, Manitowoc, Green Bay, Fon Du Lac, Appleton, or Milwaukee. DJ Clayton travels within Wisconsin and also has performed many destination weddings. DJ Clayton has been performing for many years. He is a seasoned DJ that has performed well over thousands of weddings and events in Sheboygan. When booking with DJ Clayton you get a DJ with experience and personality to make your event a success. DJ Clayton also offers a fun photo booth and professional video for your wedding in Sheboygan. DJ Clayton is professional and affordable. No hidden fees. He provides face to face pre-event consultation(s) to ensure your night goes as planned. No surprises. If you are unable to travel to our location, we can chat over the phone or video chat to ensure your event or wedding is a success! DJ Clayton has a known reputation of providing high quality entertainment for your weddings or parties since 2000. Please contact him today to see if your date is available. With every event or wedding in Sheboygan and surrounding areas you receive a professional DJ with years of experience, environmentally friendly LED dance lighting, a fun DJ that takes requests, a wide variety of music from 1940 to today�s top hits, also if you have an outdoor wedding ceremony, party or event he has wireless lapel microphones available. Professional equipment is used with every event and wedding to ensure you receive continuous music, DJ Clayton does not take a break and keeps the music going all night. Do not hesitate to contact DJ Clayton today!